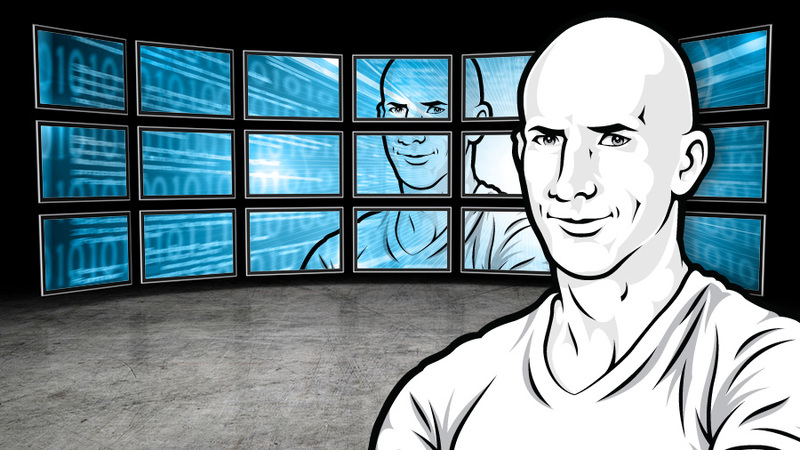 Why Is Your Audience Interested In What You Have To Say? 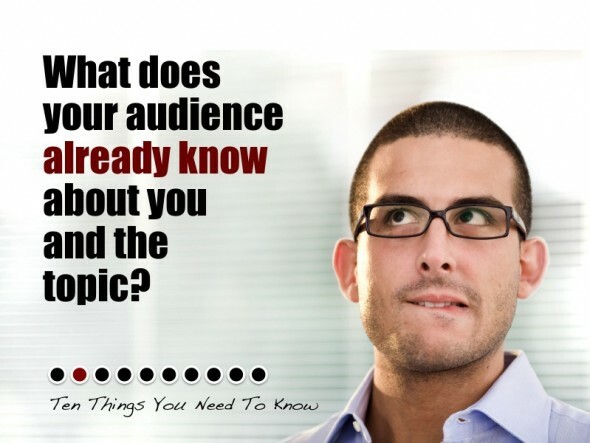 When most people think about their presentations, they usually focus on their personal objectives and consider the outcomes they want for themselves. But thinking about the audience’s objectives and desired outcomes will help you to produce a better presentation and achieve a better result. Before you rush to the computer to start creating your slides, take time to think about your audience. Provided below is a list of ten questions that you should always ask yourself before you begin the work. The list is by no means exhaustive, and I recommend that you add any other questions or considerations, which you feel are important to you. 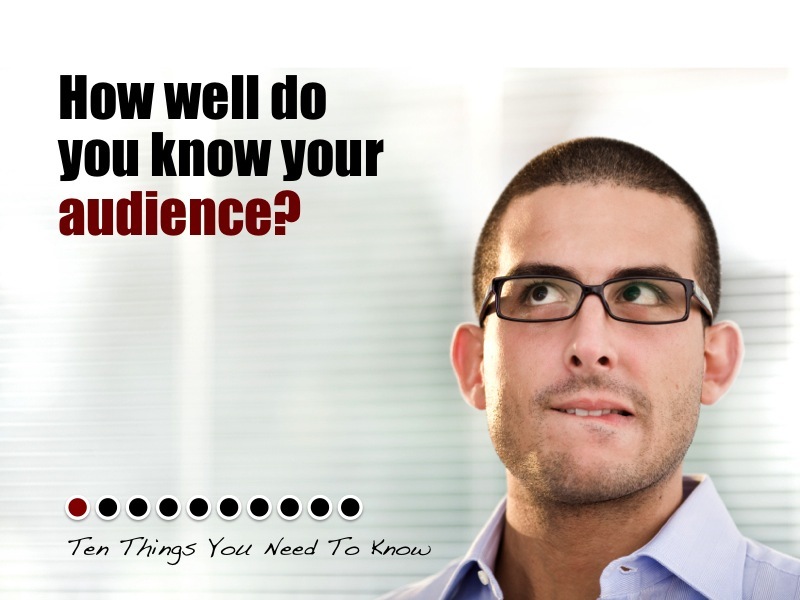 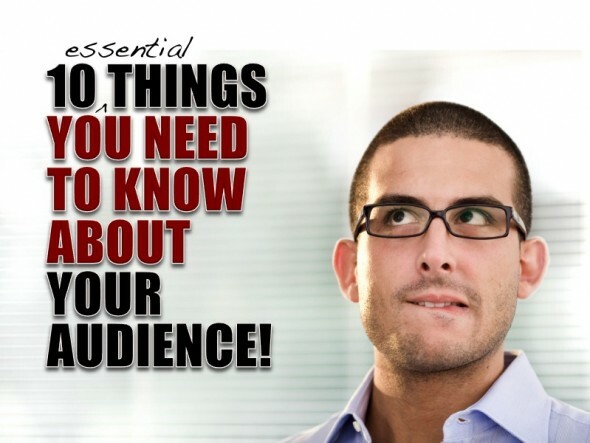 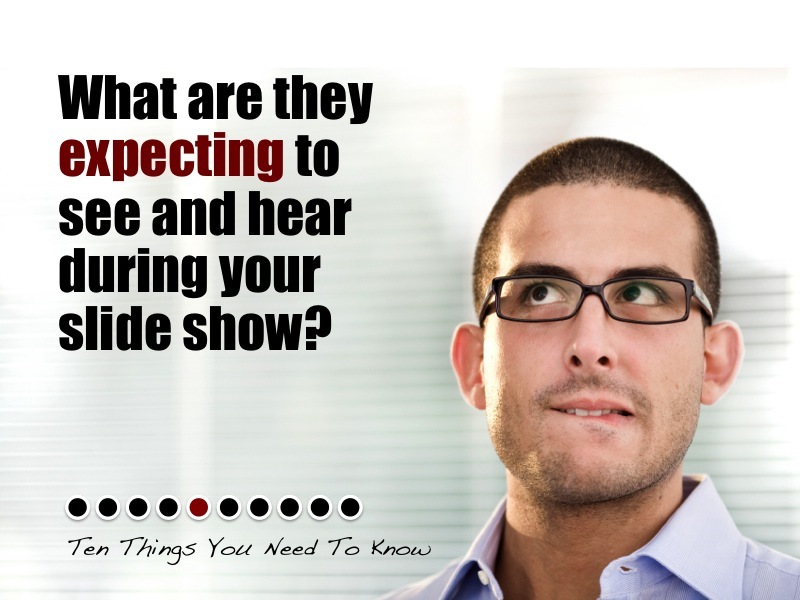 1: HOW WELL DO YOU KNOW YOUR AUDIENCE? 2: WHAT DO THEY ALREADY KNOW ABOUT YOU AND THE TOPIC? 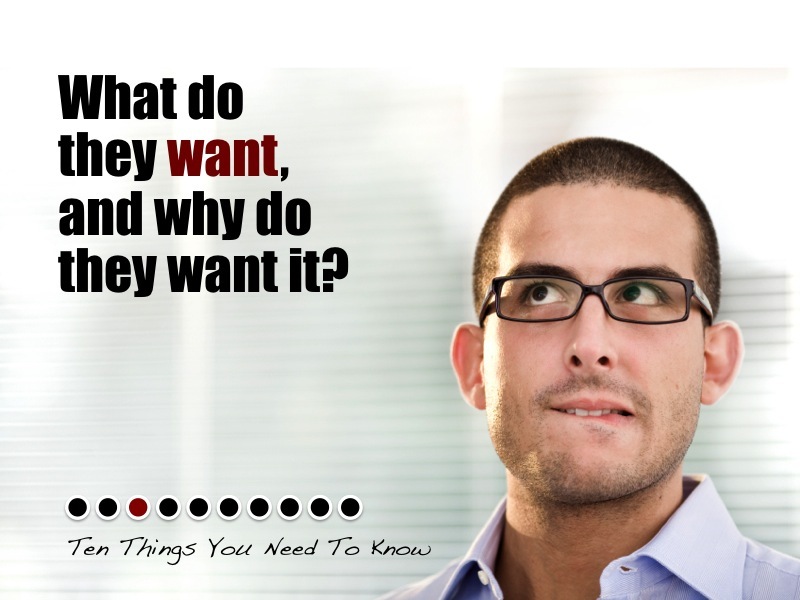 3: WHAT DO THEY WANT AND WHY DO THEY WANT IT? 4: WHAT DO THEY NEED AND WHY DO THEY NEED IT? 5: WHAT ARE THEY EXPECTING TO SEE AND HEAR? 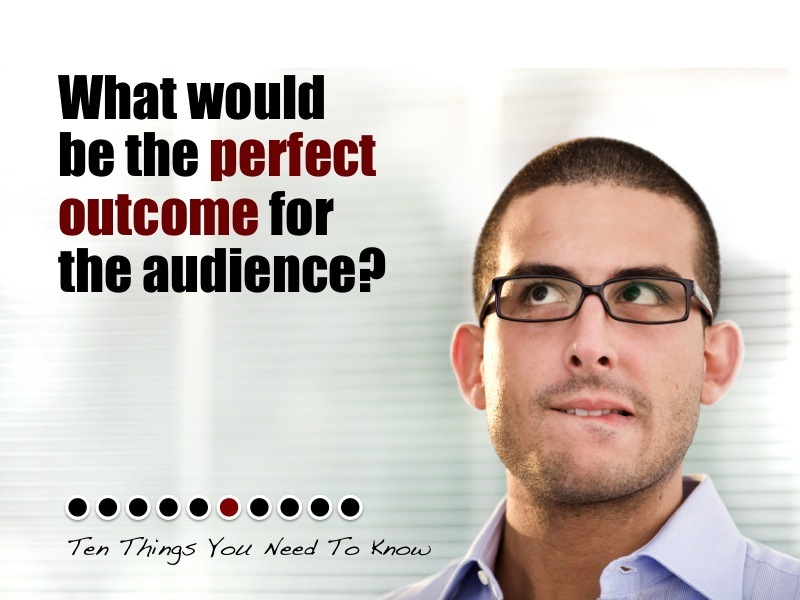 6: WHAT WOULD BE THE PERFECT OUTCOME? 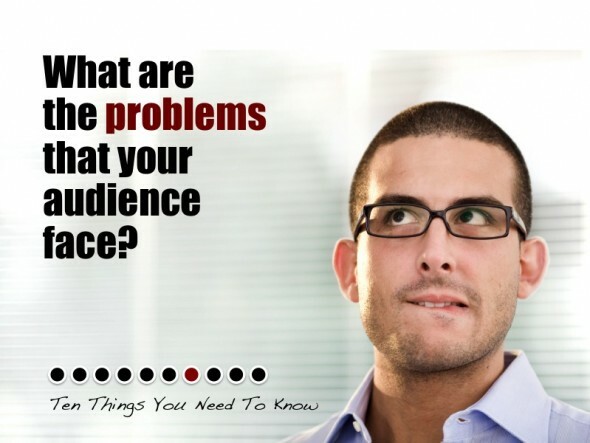 7: WHAT ARE THE PROBLEMS THEY FACE? 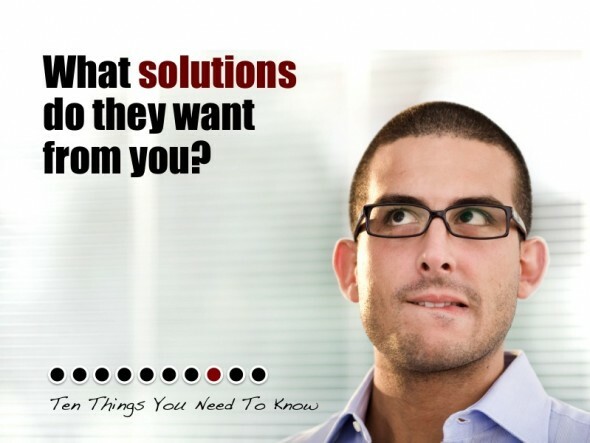 8: WHAT SOLUTIONS DO THEY WANT FROM YOU? 9: WHAT ACTION DO THEY NEED TO TAKE? 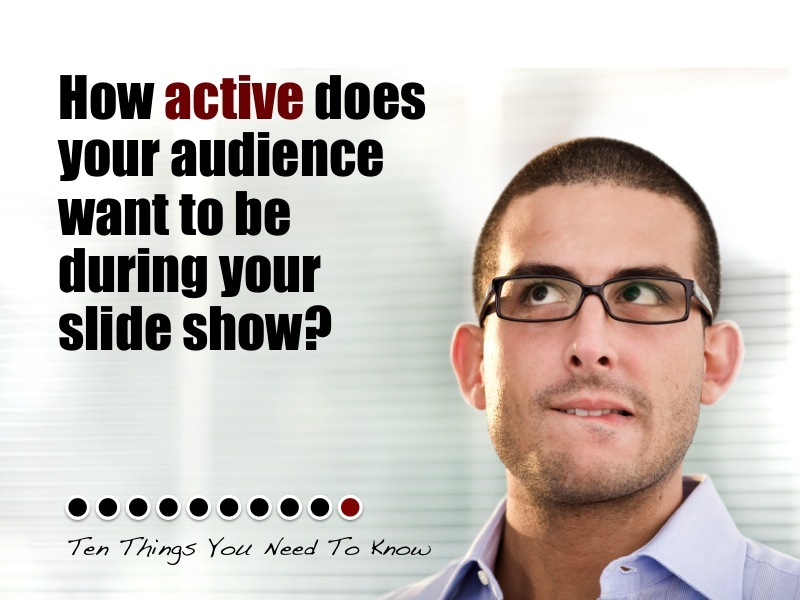 10: HOW ACTIVE DO THEY WANT TO BE? SlideGuru.com is the leading online resource for presentation design. 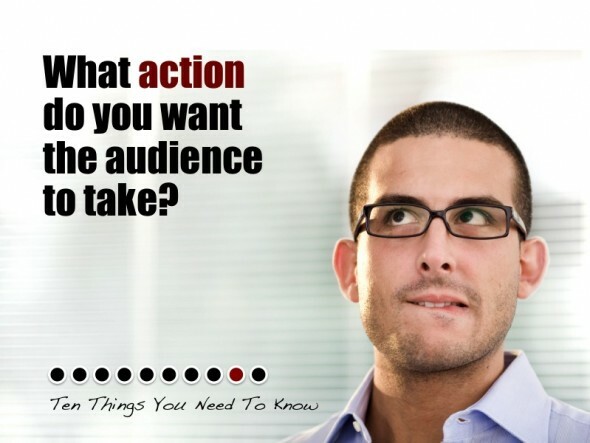 By following the practical guidelines and applying what you learn, you will become a more advanced designer, develop into a more accomplished presenter and discover how to achieve extraordinary results.